Google’s Pixel 3 is the first device since the Nexus 6 from the company to offer wireless charging, and that functionality was sorely missed. Its return didn’t come without a catch, though. To enable a 10W fast wireless charger to work with the Pixel 3, Google uses a proprietary standard, and lately, I’ve been checking out one of the first third-party options from Belkin. As Chrome OS gets increasingly touch-optimized, more and more manufacturers are releasing tablets and convertibles. Accessory makers are also taking note with Staedtler announcing a stylus yesterday, and Belkin today unveiling a wired USB-C keyboard. Sometimes Google adds a new product to its online retail presence, the Google Store. 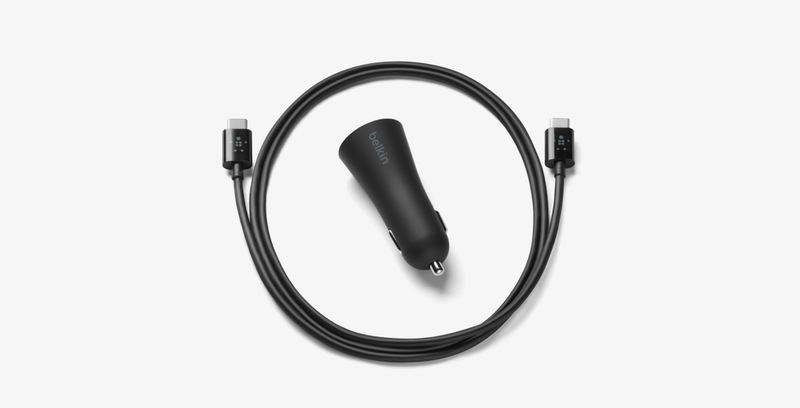 Today, that new product is a regular ol’ Belkin USC Type-C car charger. And it costs a whopping $45. Belkin’s “Wemo” lineup of app-controlled smart home accessories is getting support for the Works with Nest program, which means you can now interface the smart thermostat with Belkin’s Wemo products in various ways.